It's a good idea to fill in the free trip intention form and hire a PLB before you set out. Bring a topographic map and compass or GPS. The Scenic Railway operates regularly during the day, with the last train departing at 4.50pm. For information regarding the price of Scenic Railway tickets, contact Scenic World. If you like your scenic views from the ground up, you’ll love this magnificent walk through Jamison Valley. 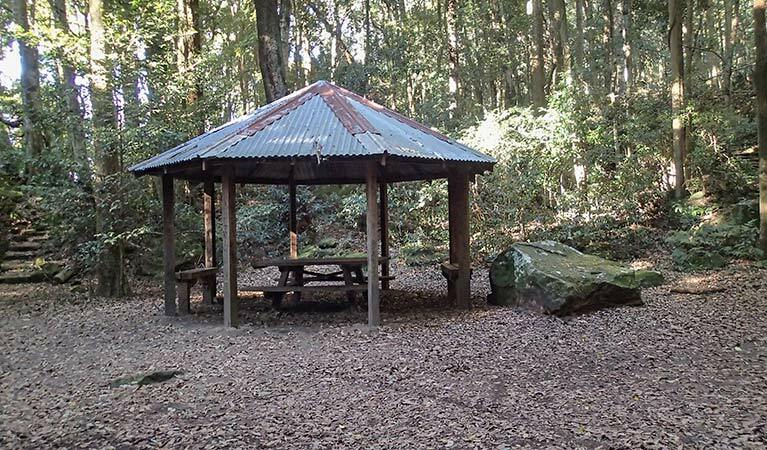 Originally built by the Katoomba community, from Leura Forest to Katoomba Falls, the track was extended on the old horse-drawn coal tramway line and now goes all the way to Ruined Castle, on the other side of Jamison Valley. 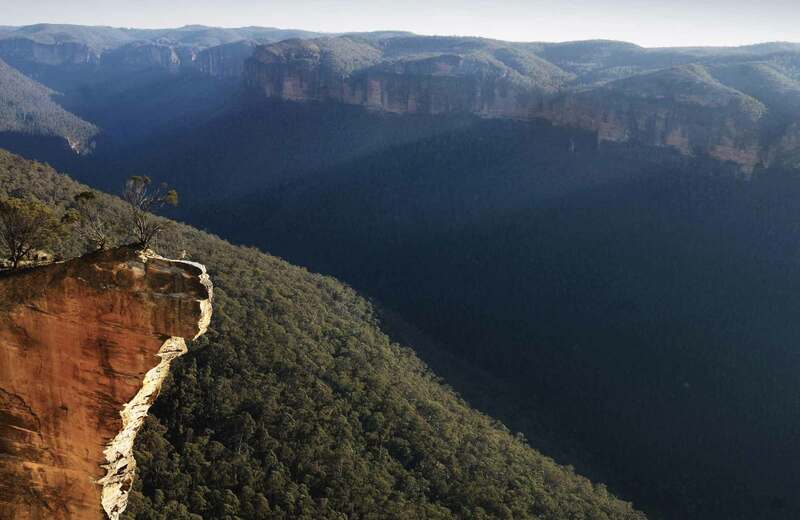 The track follows the base of the cliffs from Leura to Ruined Castle, passing forests, waterfalls and the iconic Three Sisters. You can join Federal Pass at four places and each junction involves a challenging climb down and back up the valley. 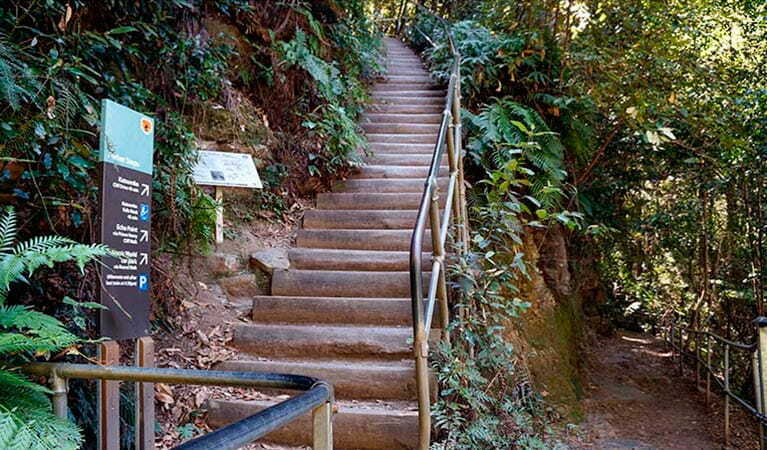 You can join this historic track by descending any of the stairways (Furber Steps or Golden Stairs) to marvel at the scenic views of the dramatic cliff line. You’ll pass through dense forests and cool clear waterfalls, with some great picnic spots along the way. 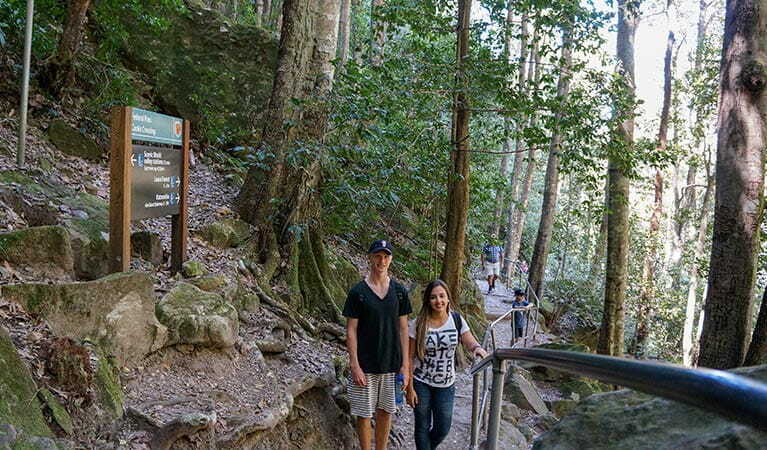 If you’re after a real heart-pumping finish, take the stairs back to the top, or cut it short and enjoy an exhilarating train ride to the top from Scenic World, hopping off at Katoomba. 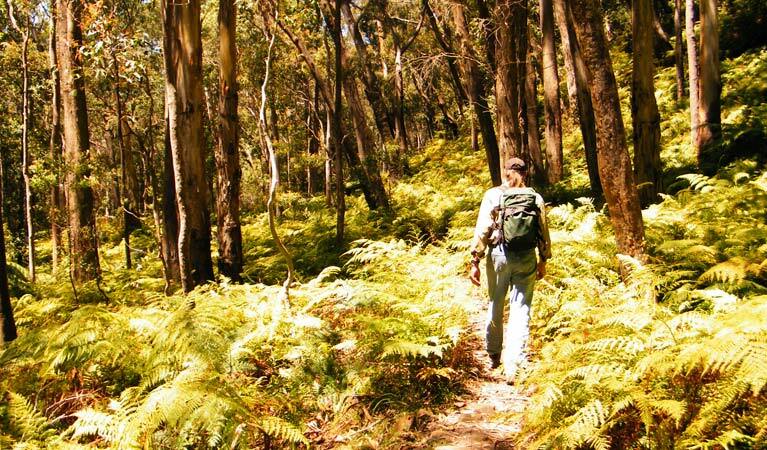 This historic track will take about 12 hours to complete if you choose to start in Leura at Fern Bower circuit, walk all the way to Ruined Castle, and return back the same way. Take a virtual tour of Federal Pass captured with Google Street View Trekker.